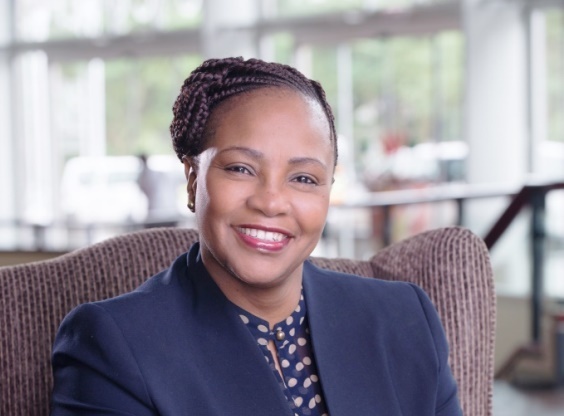 The annual Vision 2030 Awards have announced their 2018 finalists and Lindiwe Rakharebe, Chief Executive Officer of the Durban ICC has been named a finalist in the Driver for Change award category. Commenting on the announcement of the finalists, Rakharebe noted, “I am honoured to be considered for this prestigious award. It is our intention that by the year 2030 the country should be an inclusive community that cares, where the needs of all can be met and poverty, inequality and unemployment are reduced. With categories such as the Education Award sponsored by the Human Resource Development Council, Infrastructure Development Award, SMME Award and the Driver for Change Award, the Vision 2030 Awards are all encompassing when it comes to recognising the best of the best when it comes to championing the National Development Plan. The Durban ICC has aligned its operation to implementing the country’s National Development Plan and realising Vision 2030. Now in its 21st year of successful operation, the Centre continues to make a massive contribution to the local and national economy. The company reports that over 11,000 jobs were created and R4.9-billion was added to South Africa’s GDP as a result of the Centres activities in the past year alone. The awards, and the accompanying Vision 2030 Summit, will draw together a host of business and government leaders to have crucial representation from all key decision-makers because it is only through extensive Public-Private Partnerships, we believe, that South Africa by 2030, will have become the country envisioned by the National Development Plan. “The Vision 2030 Awards and Summit help connect business and government, by identifying and sharing best practices of leading companies and organisations that have implemented successful development and investment projects and can clearly demonstrate success with measurable returns to stakeholders in relation to projects aligned to the NDP”, says Ryland Fisher, Editorial Director at Topco Media.